I'm very late to the NARS bandwagon I must admit. 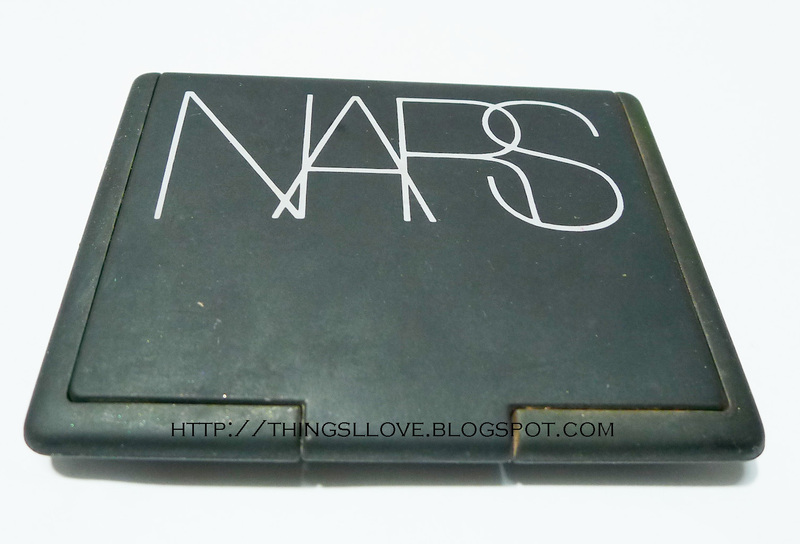 I've always admired their products from afar and have picked up their makeup tools (namely their amazing eye brushes such as the #12, #13, #14 and #15 brushes) but haven't really ventured into their makeup other than with their iconic NARS Laguna bronzer. That said, it was only time before I would eventually dip my fingers into their cult favourites that are raved about by thousands across the world. 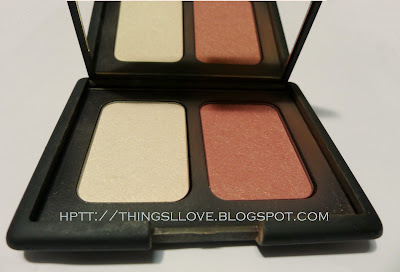 Today I'm doing a review and swatch on a NARS blush duo (so I can kill 2 birds blush with 1 stone review, so to speak). This is is blush and highlight powder in one handy compact. 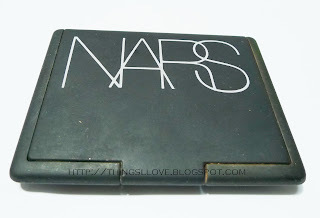 The product is encased in a rubbery-texture case that makes it prone to picking up dust and hard to keep clean, all of which I'm not a real fan of, but hey it's signature NARS packaging and I doubt it will change anytime too soon. See how dirty the case gets? Torrid is described by NARS as a coral shade with shimmer. To me, it was a medium coral peach colour with fine golder flecks of shimmer that creates a glow on skin and would sit very well with warm or cool skintones by adjusting the amount of colour applied onto skin. Albatross is a pale golden sheen that can be used to highlight cheeks, brow bones, the bridge of nose and any other part of your body really - it can look slightly frosty if you are heavy handed, but extra blending work with a small brush will diffuse the frosty look. This looks amazing 30 minutess after application when the product has settled on the skin - it gives it a soft ethereal glow to any skin tone. NARS formula as you would expect is amazingly fine and pigmented, the powder just melts and fuses with skin within a few strokes with a blush brush (I use the MAC 131 duo fibre brush or the Bobbi Brown blush brush). This blush set will not give you blotchy results and if it does, you are doing something very wrong. Lasting power is pretty good on my combination skin but it does fade slowly in the afternoons and a touch up is required if I was heading out after works. both powders come in 5g pans and will last you a long time even with everyday use as a little goes a long way. I say this could easily last me years since I like changing blush shades regularly. Two of NARS much hyped and loved colours have been combined into a single compact, I can't see how you can go wrong with this limited edition duo. RRP A$85 at Mecca Cosmetica or US$40 at Sephora (they may be out of stock but it is currently available at Stawberrynet for US$39 with free shipping).